If you like total control, unmatched power and optimal security, then Managed Dedicated Server is a solution for you. The whole server is at your disposal. You can host an unlimited number of websites, or have your own hosting clients. You don’t have to worry about your dedicated server. The installation, software updates, setup and optimization is what we worry about. You can upload an unlimited number of websites on the server, or use it for audio and video streaming. All hardware resources are at your disposal, they are not shared with other users, which means that the websites hosted on it have the fastest possible loading times. Our dedicated servers possess individual IP addresses, which host only your websites, internet connection of 1 Gbit/s, and unlimited bandwidth. Intel i7 processors and fast NVMe Gen3 x4 SSD storage are guarantee for impressive server performance. Our servers offer safe and reliable hosting which supports up to 200.000 visits per day! The dedicated server can serve a large number of visits if you use WordPress in combination with W3 Total Cache plug-in and Memcached optimization. In theory, it is possible to support a much larger number of visits, but, for your sake, we’ve made an estimate using careful calculations, because it matters to us to stand behind our word. Our team makes sure that the servers function around the clock and that they are fully optimized. All e-mail traffic is secured with SSL encryption and your Inbox is protected from spam and viruses. This is especially useful for companies that rely on mass e-mail communication. Data backup from all servers is done every night. The data is stored in two different geolocations – thanks to that, we can guarantee the safety of your data. You can access your server using SSH protocols and hosting panels. Free SSL certificates are available for all your websites, as well. The data stored on the servers is secured with RAID1 mirroring – two hard-disks take care of your data at the same time, making the data more than secure. You can create an unlimited number of e-mails. We guarantee maximum possible website loading speeds and server uptime of 99% of the month. 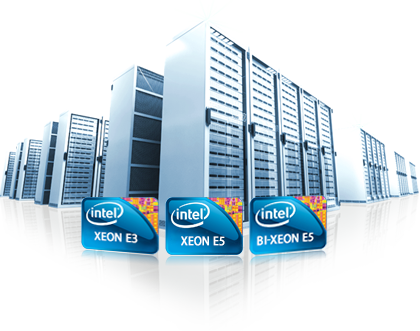 The servers are located in a datacenters in USA and Germany and are given constant attention in air-conditioned rooms, with constant power supply. Network is secured with advanced DDoS protection and reduntant backbone connections. Everything has been secured so that server is almost never offline, we oversee all the services 24/7 and we react within 10 minutes if we see any stoppages in service. You don’t have to worry about the server itself, because our team takes care of the setup, regular updating and server optimization. Our team recommends VestaCP hosting panel, whose development is aided by our team of programmers. Unlimited number of e-mail websites and accounts. The presented server configuration is an optimal configuration. It can be adjusted or tailored to your needs. You can add more RAM, more CPU power and other adjustable components. Check out our other hosting services.